They'll soon launch a tree-planting campaign. 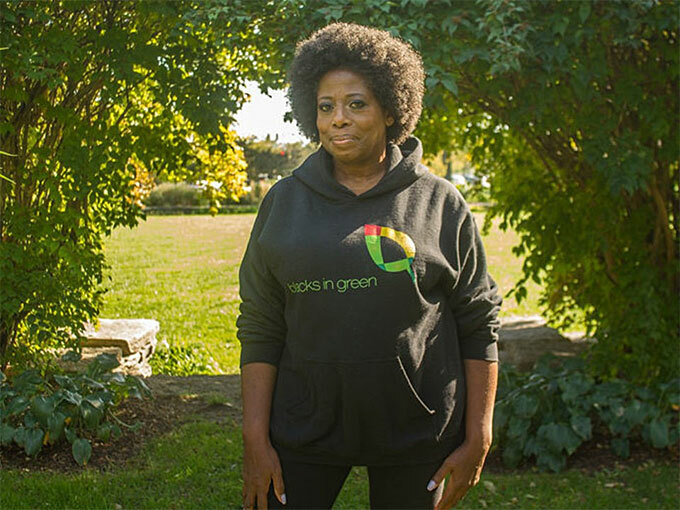 Blacks in Green Founder Naomi Davis. Last summer, residents in West Woodlawn, a primarily African-American community in Chicago, helped identify and map all their neighborhood trees. The project laid the groundwork for this fall’s tree-planting campaign. That’s Naomi Davis, founder of the nonprofit Blacks in Green. She says beauty is not the only goal. Trees can increase property values and provide shade that helps residents stay cool and save energy. They divert storm water, help purify the air, and absorb carbon pollution. Photo: Courtesy of Naomi Davis.